29LT Baseet type system consists of 16 styles; 8 Standard styles and 8 Slanted styles. The styles are: Thin, Thin Slanted, Extra Light, Extra Light Slanted, Light, Light Slanted, Regular, Slanted, Medium, Medium Slanted, Bold, Bold Slanted, Extra Bold, Extra Bold Slanted, Black, and Black Slanted. The standard Arabic style is inspired by the Modern Kufic and Naskh calligraphic styles; while the slanted Arabic style is instigated by the Eastern Kufic and Naskh calligraphic styles. The Latin counterpart is based on mono-spaced style. 29LT Baseet is a simplified typeface drawn with extreme care and attention incorporating a mono-linear structure that permits casualty within a relaxed atmosphere. The letter structures are a mixture of straight vertical, horizontal and diagonal lines fused in between curved smooth corners and sharp edges, together they give the typeface a dynamic characteristic and energetic feel that fits seamlessly in today’s world. Its round terminals and mono-spaced Latin letters lends the typeface a young and friendly image that makes it suitable for diverse projects ranging from fun and urban to serious and corporate. It is a type family with maximum legibility and ease of use. The Arabic letterforms arrangement represents modernity while retaining its calligraphic traditional. Whereas the Latin is drawn based on the mono-spaced or mono-type fonts from the early 20th century for typesetting machines and typewriters. The fonts were designed within a simplified Arabic character set and a mono-spaced Latin design to enhance the script’s simplicity, and simple is, after all, what Baseet means. The Slanted fonts are categorized as what is known as “true Italics” in the sense that the glyphs were redrawn based on the Eastern Kufic style and not just slanted from the standard style. The traditional Eastern Kufic style is written with a left incline in the pen. Some letters change radically between the Standard and the Slanted styles, while other just acquired a slant. The name “Slanted” was adopted instead of “Italic” for the 8 inclined styles since in Arabic typography and calligraphy there is no such term as an italic style. A number of elements bring both Arabic and Latin scripts together: the design approach, open counters, proportions, terminals and finials, weight and contrast. Both scripts were created in synergy and were inspired by each other simultaneously. The story of Baseet starts in 2009. The graphic design studio EPS51 in Berlin approached 29Letters for the creation of an Arabic font as a companion to Simple Typeface from Lineto Type Foundry. The font was initially created for the ContempArabia event in the Gulf Region. The initial work done on the font was a collaboration between Pascal Zoghbi from 29LT and Ben Wittner from EPS51. Basic Arabic Regular and Bold fonts were created and used throughout the visual identity of ContempArabia. In 2012, 29Letters was launched as a digital type foundry and 29LT Basset was one of the first published typefaces. 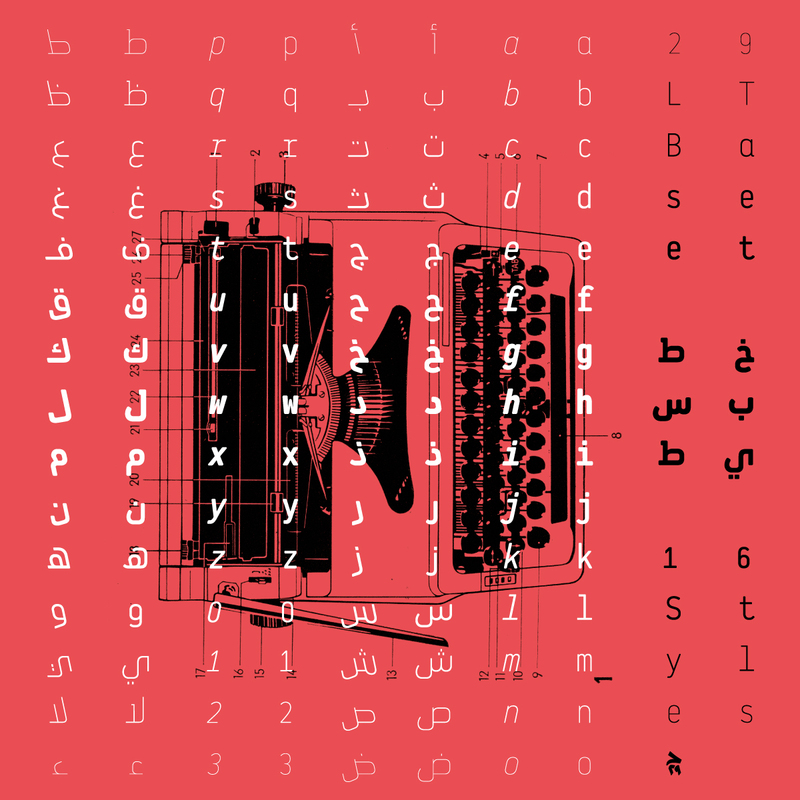 Ben Wittner and Pascal Zoghbi embarked on the development of the Arabic character to cover Arabic, Farsi and Urdu scripts, while Swiss Typefaces took on the challenge of creating a new mono-spaced Latin companion. The type family grew from 2 to 4 weights and it covered all Middle Eastern and Central and Western European languages. In 2016, after 6 years since the first set of 29LT Basset was published, 29Letters took the challenge of growing the type family from 4 into 16 fonts. The change of technology and the advanced support of the Arabic script in the past 6 years required a complete transformation of the old font files into newly developed files using the latest type design software. The main character set was revised and updated to cover more languages, and a set of ligatures were added to the Standard set. After the 8 new Standard fonts were created, it came the time to think of what would be the best way to approach an Italic set for both the Arabic and the Latin. For the Latin it was straight forward since it was based on the Italic Mono-type style, but it was challenging for the Arabic since Italic doesn’t exist in the Arabic script. After research and several trials of design options, it was decided to base the Arabic Italics on the Eastern Kufic calligraphic style as explained above in this post. Hence the design of 8 Slanted styles was created making the Baseet type family complete. From 4 to 8 to 16 over the past 6 years!